But no PG courses so far!! The first time in the history – one Homoeopathy Medical College in UP got PG seats – Lal Bahadur Shastri Homoeopathy Medical college Allahabad…They got 10 seats in Materia Medica from 2018 admission onwards. 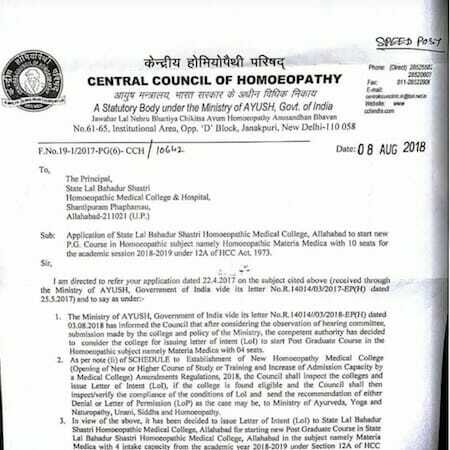 Homoeopathy associations and authorities need more attention in this matter. Seeking a better placement in the Health Sector ?